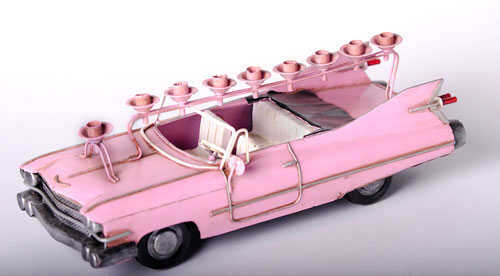 Pink Thing Of The Day: Pink Cadillac Menorah! This classic Pink Cadillac Menorah is a sweet ride for your Hanukkah celebrations! Measuring 12 inches long, this awesome menorah is available to purchase for just $69.99 at This Link! Thanks to Sharon Steinbach for the Tip!